NEW YORK (AP) -- Retailers and top fashion brands like Gucci and Prada keep apologizing for products that smack of racial insensitivity. The big question is: Why does it keep happening? Experts say many of these fashion companies live in a sort of bubble and lack the diversity in their staff that could vet their fashions. They also blame the increasing pressures facing the industry to push products from the design board to the stores and online in weeks rather than months without taking time to thoroughly review products. "There is such pressure on speed that there is no time for consideration," said Allen Adamson, co-founder of Metaforce, a marketing firm. "When you are moving this fast, there is no time for perspective." Just as quickly as mistakes are made, so too are they amplified over social media as shoppers take to Instagram, Twitter and Facebook to voice complaints. In the latest example, Katy Perry's fashion line this week pulled two types of shoes — which featured protruding eyes, nose and red lips — that critics likened to blackface. The singer and company said they were saddened that it was being compared to blackface and had envisioned the designs to be a nod to "modern art and surrealism." 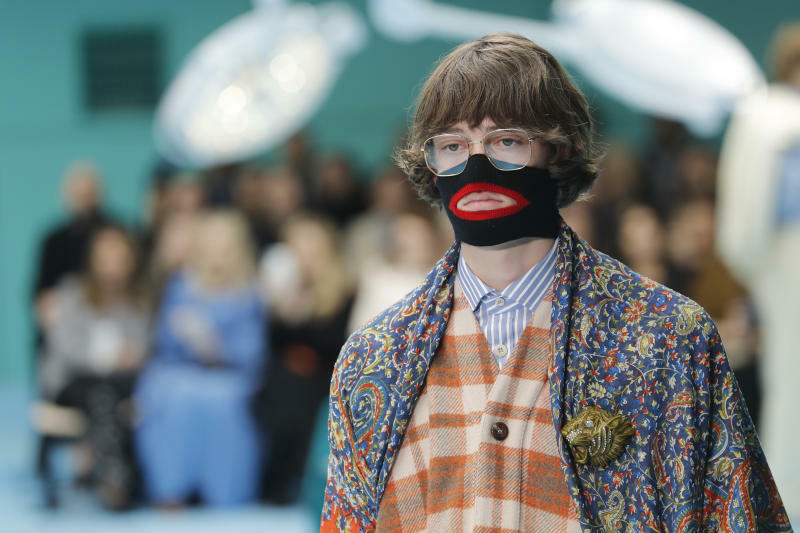 Last week, Gucci removed a sweater off the market after complaints that the oversized collar designed to cover the face resembled blackface makeup. In a statement posted on Twitter, Gucci offered a mea culpa and said that it planned to turn the incident "into a powerful learning moment for the Gucci team and beyond." The latest blunders followed apologies from Italian designer Prada, which said in December it was no longer selling a line of accessories that featured a character with brown skin and exaggerated red lips. And last year, Swedish retailer H&M pulled an ad that featured a black child donning a sweat shirt with the words "Coolest monkey in the jungle." Experts say that companies are not keeping up with the pace and complexity of global expansion. "The fact is, all retailers live in a global village today, whether they realize it or not," said Sonia Lapinsky, managing director in the retail practice at AlixPartners, a global consulting firm. "And even if massive, global movements like the diversity movement and other 'woke' movements don't yet seem to be of the highest importance to all retailers, in every segment and in every corner of the planet, those that think that way are most likely doing so at their long-term peril." Adheer Bahulkar, a partner at consultancy A.T. Kearney, agreed, saying that brands need to pay attention to issues that might not be noticed within their own culture but that are "highly sensitive in another culture." Acknowledging their mistakes, some companies are now trying to rectify the problem. Gucci, for instance, announced Friday it will hire a global director for diversity and inclusion, a newly created role. It also is promising to launch a scholarship program to cultivate diverse design talent. Prada said Wednesday it's creating a diversity council to "elevate voices of color within the company and fashion industry at large." It said two Americans, artist Theaster Gates and film director Ava DuVernay, will chair the council. The group will work to develop "diverse talent" and develop more opportunities for students of color, the luxury fashion house said. "Prada is committed to cultivating, recruiting and retaining diverse talent to contribute to all departments of the company," said Miuccia Prada, CEO and lead creative director at Prada in a statement. In the aftermath of its sweat shirt controversy, H&M put together a diversity and inclusion team headed by insider and lawyer Annie Wu with people from different departments. Last November, the company hired former Viacom executive Ezinne Kwubiri as head of inclusion and diversity for North America. "We must admit that there is some truth in the fact that we have maybe been too centralized and that we need to challenge ourselves in an open and constructive way to get everyone, everywhere to be more culturally sensitive, racially aware, and more critical of how the outside world might see what we do," Wu said in a corporate blog post last spring. Still, putting some controls on the design team requires a balancing act, particularly with design-led fashion firms. It has to be done without hurting the creativity of the team, says Lapinksy. Lapinsky predicts that offensive designs will continue to pass through the layers of designers and merchandisers until companies really see a big hit at the bottom line. Wendy Liebmann, founder and CEO of WSL Strategic Retail, a retail consultancy firm, said diversity training and a new way of thinking has to be "embedded in the culture." "It can't be at arms-length," she said. AP Business Writer Alexandra Olsen in New York contributed to this report.